There are several threats that are being introduced in the IT Industry and is causing problems to it. 1.Cyber Bullying – These type of threat is where a group of people or a person tries to threaten or abuse someone on the internet, such as in social networking sites like face book or twitter. These type of threat can lead to life threaten such as people can suicide from this bullying. 2. Spam – This is a type of email that can be a virus and can come as an attachments so you need to be very careful when opening spams. This kind of email can be annoying for people but its not life threatening or dangerous. 3. Loss of personal data – If you lose your personal data and someone gets it, they will use your data to pretend to be yourself, they may steal your bank account and money. You need to be very careful when you are sharing your personal data and think very carefully when your giving your details to someone you don’t know. 4. Phishing – These type of threat is one of the threat that you must take very care of because this is where criminals use it to trick people by sending fake emails to people and getting their personal information. For example, the criminal may send you emails that says to click on a link which then leads them to a web page which looks just like their online bank account. But one thing you need to remember is that the web page is under control by the criminal which makes them see all the details of the victim. They then use this details to steal the victims money from their bank account. 5. 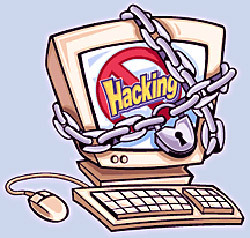 Denial of service attacks – This is type of threat is where criminals tries to blackmail or attempt to attack sites.